Jean-Bob and Tiana 爱情. Jean-Bob and Tiana! I really adore their two together!:). 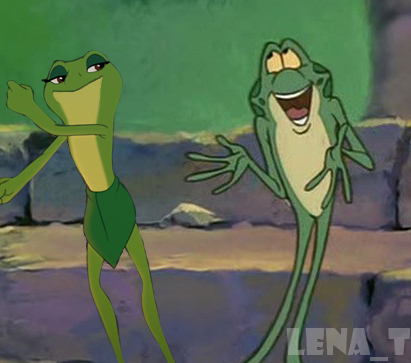 Wallpaper and background images in the 迪士尼跨界（crossover） club tagged: disney crossover tiana frog jean-bob swan princess.